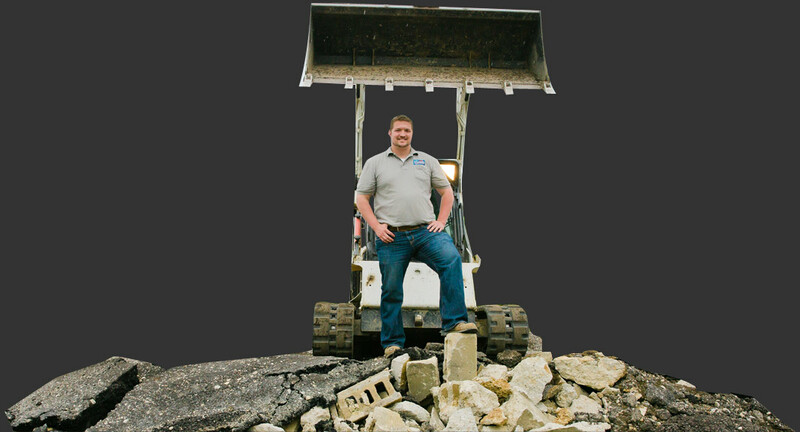 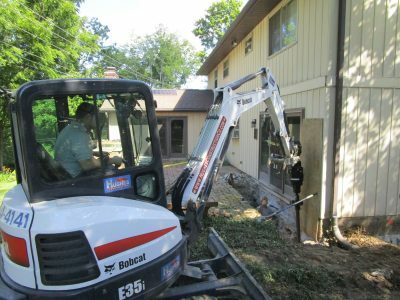 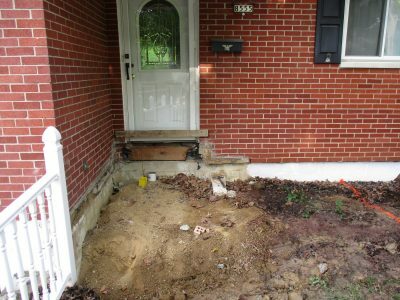 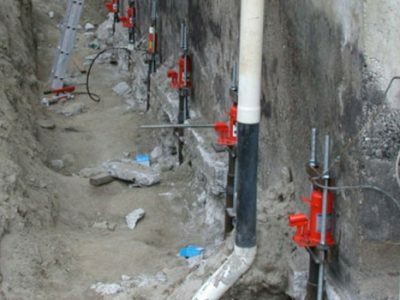 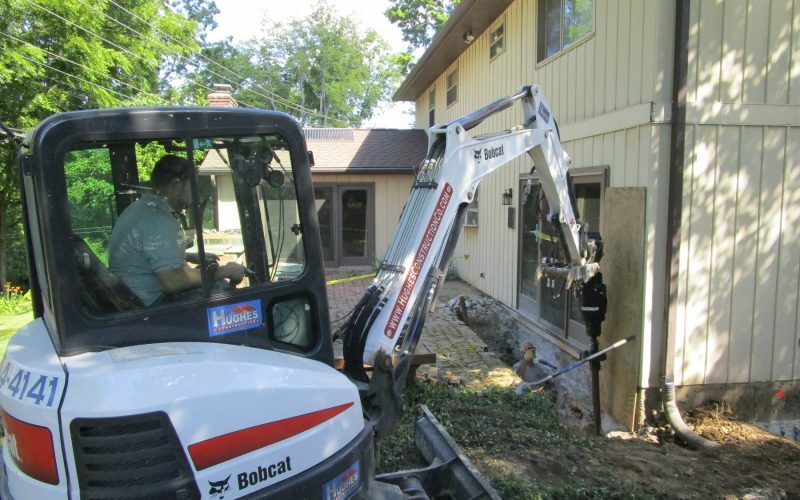 Helical piers are an innovative way to permanently stabilize a settling foundation. 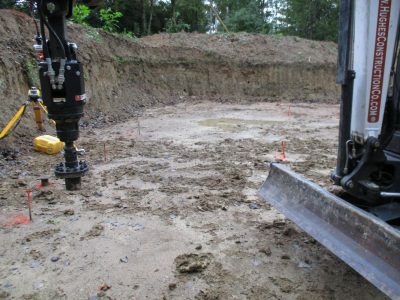 The round shaft piers are driven into the ground to specific torque settings, which enables them to have a high load capacity immediately after installation. 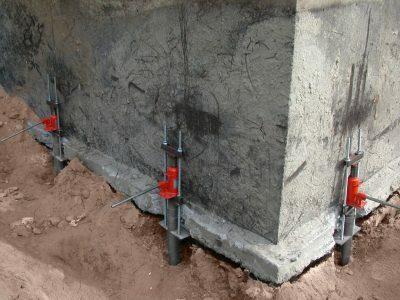 Once the helical pier has been driven to the appropriate depth an attachment bracket is installed to connect the helical pier to the existing/new structure. 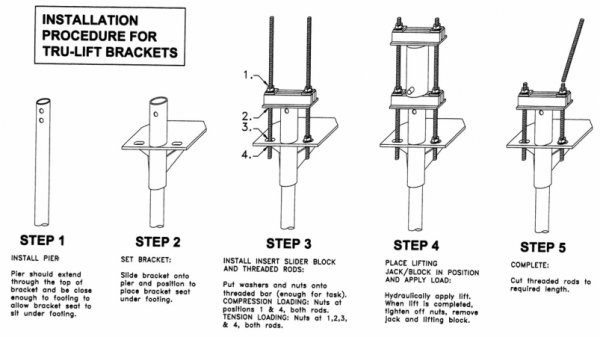 If the helical pier is being installed on an existing structure that has settled, it can then be lifted to the appropriate elevation. 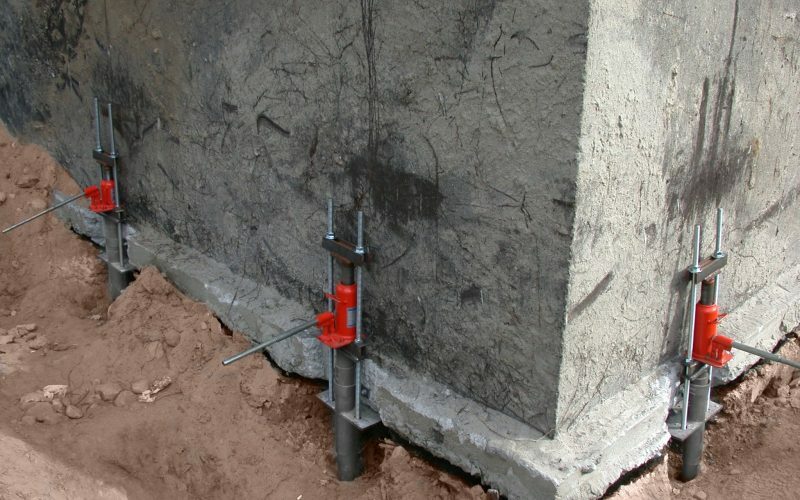 Square shaft helical piers are designed to hold tension loads, which can be used to hold retaining walls and foundation walls in place. 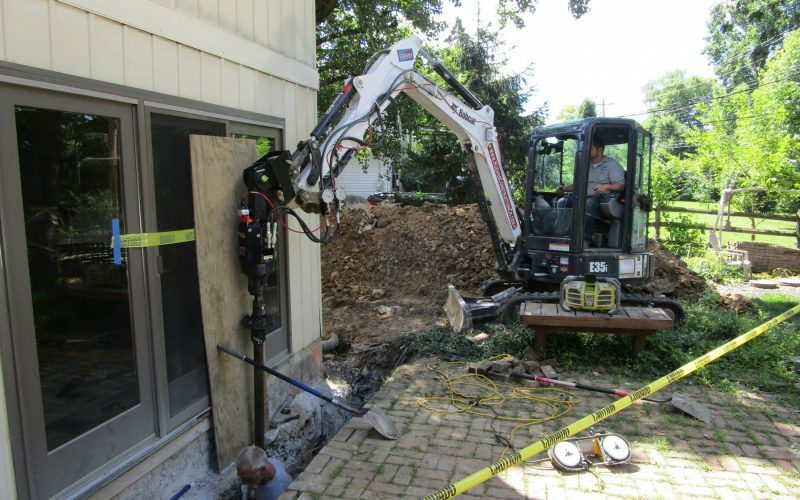 Hughes Construction uses cross bolt technology and custom drive head to eliminate added stress the helical pier under goes during installation. 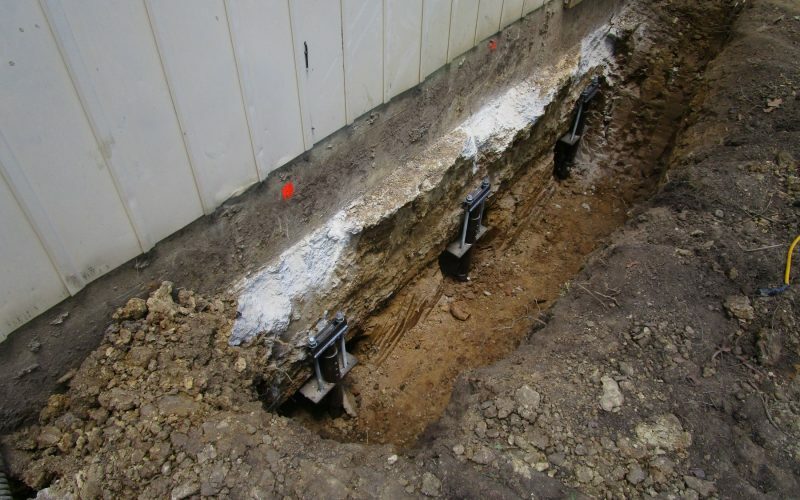 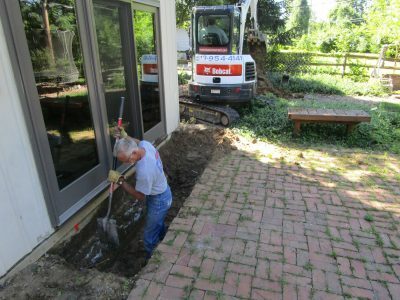 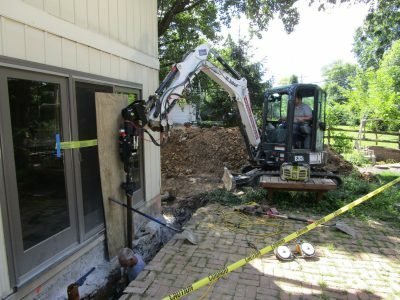 Once the helical pier has been driven to the appropriate depth, a repair bracket specifically designed to draw the pier into the foundation is installed. 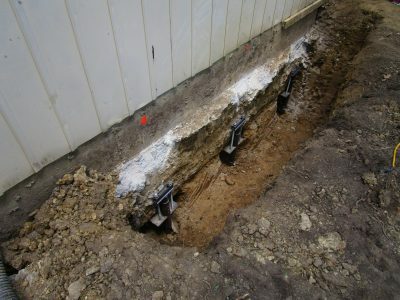 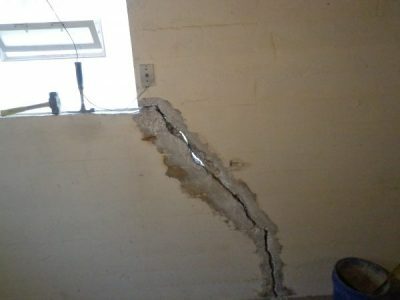 This type of repair bracket is key because it creates a tight connection between the existing structure and the helical pier, which transfers the weight of the structure to good load bearing soil.